Join our community and enroll your services with us for free! This website is an open tool for the utilization of U.S. Public Accountants, CPAs and Accounting Firms for public use especially for Small-Business owners. Let other Entrepreneurs & Business owners find you. We would love the entrepreneurial community to grow and foster good partnerships with reliable professional services. Regulating new customers need efficiency. By publishing your information on this site, we can help you find prospects and gain potential clients. 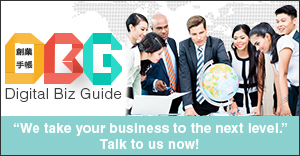 This website is managed by our dedicated Founder’s Guide team, focusing on the small-business and startup communities. You can proceed with the registration process by clicking the button below. Thank you for partnering with us! * If you have an existing information on our database, Please click here to Update Registration. Do you want to modify this information? If you are the owner/partner in this firm, it’s possible to enhance the details for better and optimized search results. You have the option to add a variety of information to highlight your expertise, specialization and qualifications, add your preferred accounting softwares, and set the company profile photo/ logo. Lead your firm to a more aggressive appeal and provide reliable information to increase customer feedback/response. We offer a dedicated management screen for the Registration Form. For further details please click the button below.